We want it, but we don’t want it. We love it, but we think we shouldn’t. We want the goodies money can provide, but we don’t want to have to deal with money. If any of this sounds like you, you’re suffering from The Money Wound™. Money is scarce, not abundant. If I have money that means someone else doesn’t have any. It’s selfish and greedy to want money. I shouldn't want, or have, more money than I absolutely need to get by. Money isn’t that important to me. I mean, sure it's nice - but other things are more important to me. (see also The Anti-Selling Wound™). Money brings out the worst in me. I get into trouble when I have money, it lets me indulge in stupid, lazy or self-destructive behaviors. I'm better off without it. You have to work hard to earn money - and often, your efforts won’t be rewarded. I'm bad with money. No matter what I do, I just can't get control of my financial situation. My money situation makes me feel ashamed. If I ever look honestly at my money - the choices I've made, the behaviors I keep repeating, the financial hole I've gotten myself into - it just fills me with a virtually intolerable level of shame. 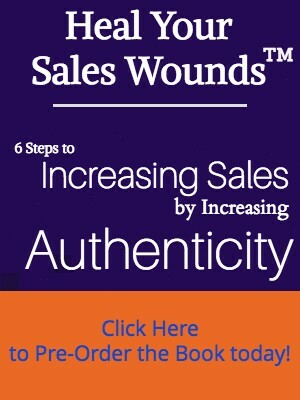 Until you examine these self-limiting beliefs – what I call Wounds – and begin to heal them, they can interfere with your ability to earn more money and grow your business. 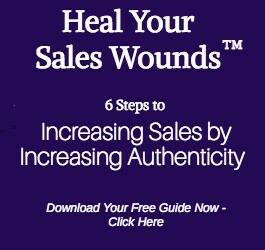 You certainly won’t get any better at sales until you heal your Money Wound™. Because what is sales, but a way of getting more money? And if part of you actually doesn’t WANT more money, doesn’t it make sense that you would sub-consciously sabotage your efforts at sales success? These are the steps if your Money Wound™ is the Ostrich Archetype – you’ve been keeping your head in the sand about your money & not doing a good job of managing it. But an altogether different kind of Money Wound™ is the Self-Righteous Pauper Archetype. This archetype is you if you ever feel critical about money, wealth or wealthy people. Read more about it here. You either paid the bill on time or you didn’t. You either made your IRA contribution or you didn’t. You either stayed within your budget or you didn’t. Because of that, it’s a great place to begin the process of becoming Radically Honest with yourself. Your first step is to take my 3-question quiz, Wealth: Why You Don’t Have Any. This quiz will reveal just how severe of a Money Wound™ you have (or don’t have). That’s great news! You’re probably not suffering from an extreme Money Wound™, and as a result you’re ready to begin the hard work of turning around your money story. To begin that turnaround, I recommend my 4 Baby Steps to Spiritual Money Manifestation. It’s a free, self-guided set of steps that, when implemented, will begin to result in more and more money & financial support showing up in your life. That’s a sign that your Money Wound™ is large and charge, and you need a radical intervention, in the form of a Money Wound Deep Dive™ with me. A Money Wound Deep Dive™ is a 1-hour private session in which we delve into the heart of your Money Wound, and knock it loose. I charge $375 for this session, and the results people get are astounding. Below, you can watch the video of a Deep Dive that I did with my client, Michele Donat (she agreed to let me use her session publicly – so don’t worry, yours will be completely private!). Within hours of this session, Michele landed a $400 client – which was an outcome she was thrilled about! 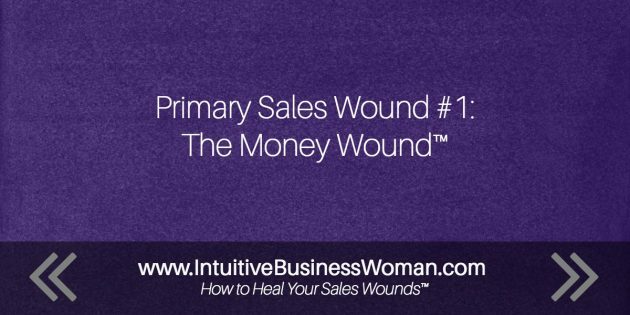 If you’re not sure if The Money Wound™ is your primary Sales Wound, click here for the rest of the Heal Your Sales Wounds™ series. The book will be in bookstores by May, 2017. You can pre-order your copy today – and receive the Kindle version as a free bonus, as early as January! Plus I’ll send the downloadable guide to your email right away.